Victoria Orifice is a Liberal Arts major at Asnuntuck Community College, where she is President of the Disability Advocacy Squad, Vice President of Communications in her local Phi Theta Kappa chapter, and was recently elected Phi Theta Kappa's New England Regional President. Her interests are esoteric, eclectic, eccentric, and probably some more words beginning with "e", but we've listed enough as it is. Storytelling, however, is her passion. From fiction to non-fiction, short stories to novels, print to audio, essays to video games - telling stories is one of the things that most brings Victoria joy, and she has a short story published in the 2017 edition of Asnuntuck's Literary Journal, Freshwater. She is far from tied down to any specific career goal, though would prefer to find something that allows her to continue learning, writing, and helping people, while also allowing enough time and money to substantiate some of her more involved hobbies. Due to this, she is considering higher education, law, and communications, but is keeping her options open regardless. The best advice she's ever received is to stop worrying about what comes after college, as those sorts of long term plans can often cause more worry than they're worth. "Go to college, open yourself up to every opportunity that you feel confident that you can take on, and the rest will come." That advice, and advice similar to it, is a large part of why she is where she is. Dee Chamberlain is our Southern Regional Vice President, and she is currently attending Asnuntuck Community College for degrees in Early Childhood and Human Services. She has been at Asnuntuck for a year. She went to high school in Bloomfield GEMS and Goodwin. Not only is she a full-time student at Asnuntuck, but she also works at the college under the Director of Student Activities. She works at the Information Desk, in the Student Activities area, and in the ACC Food Pantry. On top of all the academic and work related things, she is also in a wide range of clubs including: Student Senate (SGA), Campus Activities, The Outdoors club, A Novel Idea(Book Club), The Guild (Gaming Club), SMBA (Spiritual Mind and Body Association), Pride, Dungeons & Dragons (D&D), and PTK. In addition to the clubs, she is the student rep for a couple of committees, The Curriculum and Standards Committee and College Council. Now this isn't to brag, but she loves being involved at ACC. She plans on helping people achieve their goals; both short-term and long-term. She enjoys making people smile while either at work or in class. She always aims to help people achieve their dreams. She wants to make people smile, and that she does. Cam Do is a sophomore student at Bunker Hill Community College (BHCC), the largest and most diverse community college in Massachusetts. She is originally from Vietnam and is the first of her family to attend college. Through resources on campus and with help from staff and faculty, she managed to make a successful transition to college life. Do is currently serving as the Student Trustee of BHCC. Her campus involvement ranges from participation in both the Student Government Association and Student Budget Committee to various student assistant positions. Her work focuses on advocating for Open Education Resources and organizing initiatives that make positive improvements on campus life. Do is also a member of Massachusetts Student Advisory Council and one of the founding members of the Association of Community College Trustees (ACCT)'s Student Trustee Advisory Committee. The demands of these positions have fostered in her an ability to work effectively with a diverse group of students and demonstrate her leadership skills. Do believes that life is a reciprocal exchange. To move forward, we need to give back. It is about making a difference in our community. In her free time, Do volunteers with the Office of Community Engagement. She was awarded Platinum Service Award for volunteering at more than 15 events during the 2016-2017 academic year. Beth Carroll is currently serving as President of the Beta Lambda Rho Chapter at York County Community College (YCC) in Wells, Maine. In addition, she was recently elected to the position of Northern Vice President for the New England Region. For the past several years, she has been very active in her chapter, with prior service as Treasurer and Vice President, while working on completing her Associate's Degree in Business Administration. After retiring as an Engineering Instructor at Portsmouth Naval Shipyard, Beth was eager to jump into something new and exciting. Beth enrolled in the Veterinary Technology Degree Program at YCCC because of her love for animals. Realizing this was not the exact field she wanted, she switched her major back to Business Administration. Her love of animals, combined with her managerial skills, will help her secure a position in both fields at either an animal shelter or an organization to help abused animals. Volunteering has become an integral part of her retired life, which led her to become involved with PTK. Shortly after joining PTK, she fell into a leadership position. The fellowship and teamwork seen throughout PTK has continued to inspire her. 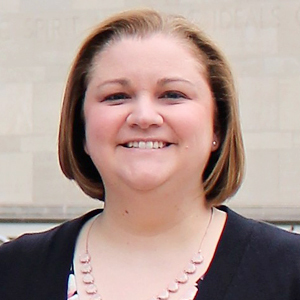 Beth is excited to begin her year of service as the Northern Vice President, and she plan to join the New England Region Alumni Association (NERA) upon graduation. Beth is PTK! Rahteisha Pittman is a Liberal Arts major at Gateway Community College (GCC) in New Haven, CT. She began attending GCC in fall of 2016, and she applied to and was accepted into GCC's nursing program for fall 2018. In her spare time, she enjoys reading, traveling, and spending time with her sons, Andru and Joseph. Some small facts about her include: her favorite color is purple, her lucky number is 4, and she serves on the deacon board at church. In May 2017, she became a member of the Alpha Xi Theta Chapter of PTK, and in October of 2017 was elected as VP of Records for her chapter. She states that, "it has been such a wonderful experience working with my fellow officers to participate in activities that illustrate the core beliefs of PTK, such as leadership and giving back to the community." In the upcoming year, she will be serving as Executive Vice President of her chapter and as Regional Vice President-at-Large of the New England Region. Rahteisha also explained that, "Phi Theta Kappa has given me the opportunity to build my leadership skills, as well as make some wonderful friends along the way." She looks forward to all the new PTK adventures that await her. Jenn Huntress has the honor of serving as a New England Region Vice President-at-Large. She is an Economics and Law student at Bentley University, and also continuing to learn for fun at NHTI, Concord's Community College. She is very passionate about ice breakers, the Bruins, sustainability, and leadership development. You will often find her dancing and goofing around, but always feel free to interrupt her mini dance parties if you ever need anything. She is always happy to help with anything. She will be in charge of all social media and the PTK New England website for 2018-2019. 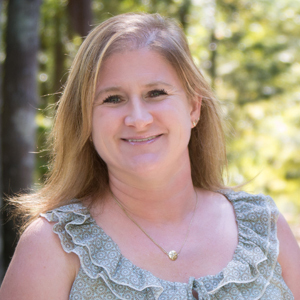 Michelle is an Associate Professor of Biology and the Science Coordinator at Asnuntuck Community College in Enfield, CT. She has taught at various institutions in Massachusetts and Connecticut-- Westfield State University, Springfield Technical Community College, and Holyoke Community College. Before getting into education, she served as a Manager/ Microbiologist at MicroTest Laboratories, Inc. While there, she became a registered Microbiologist and gained field experience that she utilizes in her teaching. She has her Bachelor's degree in Biology and is a certified MA Elementary Education teacher. She then furthered her education to achieve a Master's degree in Business Administration from UMASS in Amherst and a Master's degree in Biology from University of St. Joseph in West Hartford, CT.
She began her involvement with Phi Theta Kappa as an advisor in October 2012. She has served as the contact advisor at Asnuntuck Community College and has been on the NE regional advisory board. In March 2015, she was appointed as the New England Regional Coordinator. Susan started her career at the former Greater New Haven State Technical College in 1983. In 1996, she became involved with the Gateway Community College Foundation as a development assistant. In 1998, she worked with Admissions, College Life, Grants, Multicultural Affairs, Enrollment Management, Public Relations and Marketing, and Institutional Research. She is a trained Facilitator at the college. Since her appointment as Advisor to Gateway’s Chapter of Phi Theta Kappa, Alpha Xi Theta, the chapter has received the Pinnacle Award for increasing membership. She served on the New England Regional Advisory Board from 2009 until October 2013 when she was selected to serve as the New England Region Associate Regional Coordinator.